What does a Subaru WRX STI have in common with the first land-walking fish? No, not a bunch of world rally championships, which would be impressive. But they are both all-wheel drive. 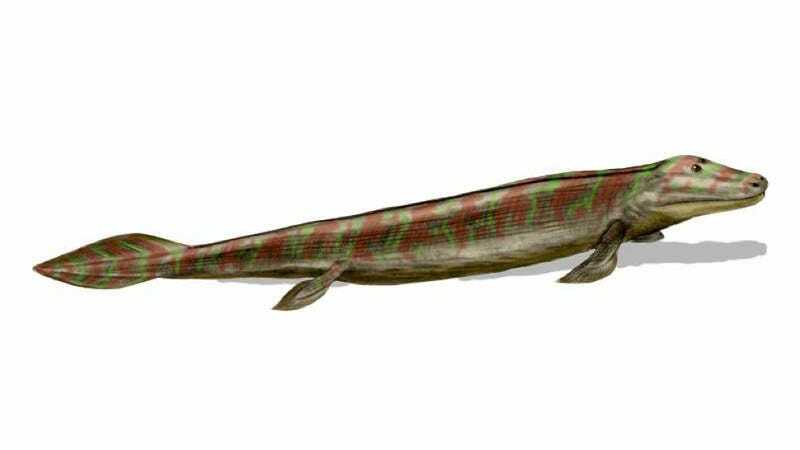 Initially, it was thought that Tiktaalik roseae, a land-walking fish discovered in Canada about a decade ago, wasn't very agile on land. There wasn't evidence of a pelvis that could help it be more than a bipedal fish that dragged itself along in the muck. But that was before all of the fossil was uncovered. Researchers have now discovered that it also had a strong pelvic bone that meant it walked more like a dog or a horse than previously thought. That means it was probably able to explore more of the land and do it much faster than anyone imagined. Yes, this is the first evidence of all-wheel drive, which obviously makes the WRX STI a direct descendant of the Tiktaalik roseae. So thank you, Subaru.